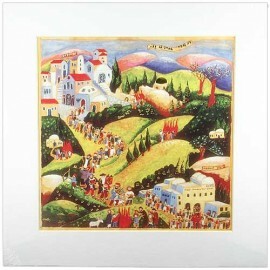 Michal Meron, one of Israel's leading Judaica artists, was commissioned to create pictures that capture the spirit and excitement of the major Jewish Festivals and Holy Days. 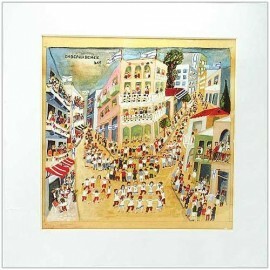 Her paintings are in the 'naive' tradition, full of action, exuberant life, color and interest. They combine artistry of a very high standard with educational merit, illuminating aspects of the origins, traditions and contemporary celebration of the chosen days. 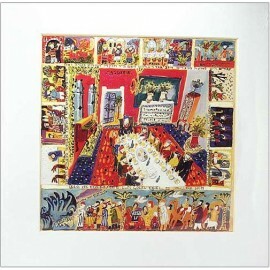 The reproductions are printed in full color offset lithography with a final inlay of gold foil. 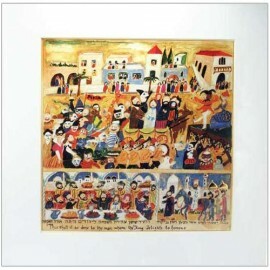 The artist's signature is included in each image.